In a small corner of the government's otherwise deathly dry public courts database, snuggled between information on delayed-notice search warrants and caseload statistics, is a fairly extraordinary section simply titled "Wiretap Reports." The section reveals a host of facts and figures about federal and state wiretaps -- how many are approved (from 2,000 to 4,000 per year generally), where and for what kinds of suspected crimes. 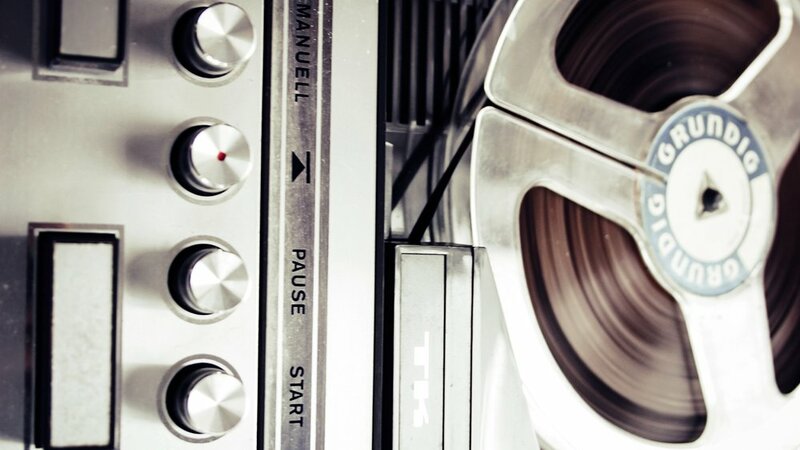 The stats are updated yearly in reports to Congress by the Administrative Office of the United States Courts (AO) and reach back two decades, allowing a pretty fascinating view into law enforcement's use of wiretaps and how it has evolved with technology. For one of the 3,168 wiretaps authorized in 2016, the most recent year for which stats are available, there was a 35 percent chance it was in California. 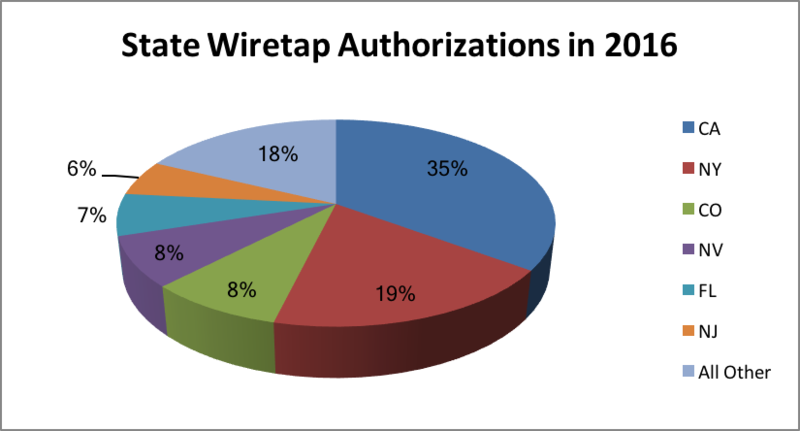 New York comes in second, at just under 20 percent of wiretap authorizations. After that, Colorado, Nevada, Florida and New Jersey all fall in line quite a bit behind at between eight and six percent each. About the same stats hold for the last couple years as well -- though California topped 40 percent in 2015. For a little context, California is the most populous state, accounting for approximately 40 million people, which is about 12 percent of the population of the U.S.
Texas, America's second most populous state with more than 28 million people, only used 121 wiretaps, accounting for under four percent of the total wiretaps. While the debate between security and civil liberties figures on domestic surveillance and wiretaps often invokes the threat of terrorism, the stats show that an overwhelming majority of federal and state wiretaps are used in drug cases. In 2016, 1,949 of the 3,168 wiretaps approved by a judge were for narcotics cases. The second-most prolific suspected crime, conspiracy, which presumably could include terror-related charges but doesn't explicitly, accounted for eight percent of authorizations. Homicide, coming in number three, was the most serious offense listed in five percent of applications. For at least the past decade, it's been this way. 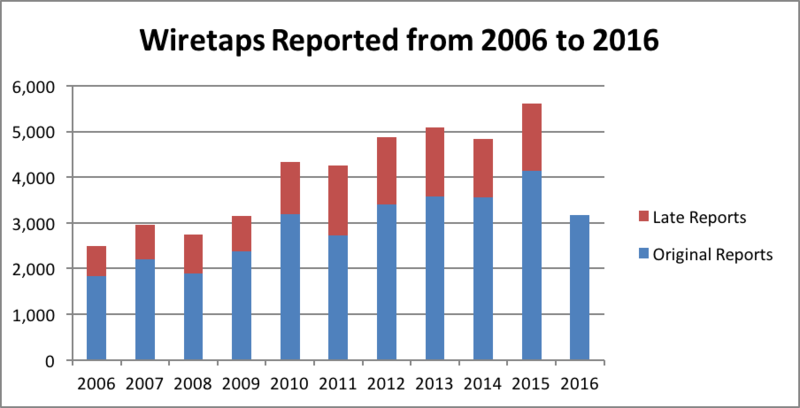 Drug cases consistently account for more than half of wiretap authorizations since 2006, the AO stats show. In an entry that is certain to infuriate those on the law enforcement side of the encryption debate, in 2016 the courts reported 57 state and 68 federal wiretaps that encountered encrypted communications. In a vast majority of the cases -- 48 for the states and 53 for the feds -- the communications could not be decrypted. As to whether investigators are encountering encryption more often, the statistics appear to bear that out, but the stats are a bit volatile on the issue. The first time encounters with encryption were reported was in 2012, when 15 encounters with encryption happened and authorities were unable to gain access to the data four times. 2013 saw a marked increase to nearly 100 wiretaps running into encryption -- a vast majority were successfully decrypted -- but then the numbers dropped in 2014 to 25 instances of encryption and then bottomed out in 2015 with just 13 total instances of encryption. By then, however, encryption was good enough to thwart investigators most of the time, presumably leading into the large number of un-cracked wiretaps in 2016. When a wiretap picks up a few hundred or thousand phone calls or messages, that's actually a pretty scant haul, relatively. That's because some wiretaps hoover up hundreds of thousands. Like a California state wiretap in 2016 that the court records say intercepted some "559,003 cell phone conversations, of which 113,528 were incriminating." All these wiretaps and intercepts led to the arrest of more than 12,000 people, but the stats say only about 10 percent of those were convicted. The wiretaps can be wire, meaning any kind of telephone; oral, meaning microphones to eavesdrop; or electronic, meaning faxes and computers. As you'd guess, the telephone-related taps are the most popular, accounting for 84 percent of wiretaps in 2016, "the majority of them involving cellular telephones."